A doorbell is an essential part of any home entryway. With so many doorbells on the market today, there is a model that’s perfect for your home’s alert needs — and your budget. To help you make an informed doorbell purchase decision, our team did extensive research to find the best doorbells in several categories, including wired and video doorbells. For each of our choices, we’ve provided detailed information about key features such as ease of installation, connection quality, companion apps, and other information you should know before making a doorbell purchase. Read more about our methodology. The Ring Video Doorbell continues to deliver quality HD video to users, and features the full functionality of a traditional doorbell when used with the add-on Ring Chime. It boasts an easy to install design and can support additional units on the system. The Honeywell Premium Portable Wireless Doorbell offers a host of useful features including a selection of chime tunes with adjustable volume, visual alert icons, and ability to add up to three push buttons, that make it a quality choice for those on the hunt for a new doorbell. SadoTech Model C Wireless Doorbell boasts a stylish design, large range, and comes in at under $20, making it an excellent choice for those looking for a decent doorbell at an affordable price. Ultimately, the choice of colors, visual indicator, and waterproof design were what helped made this a top pick for us. 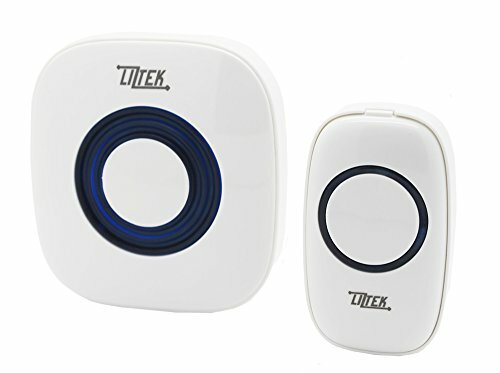 The Liztek Portable Wireless Doorbell boasts a quality design at an affordable price point, and comes complete with a single chime and push button unit with LED indicator light. 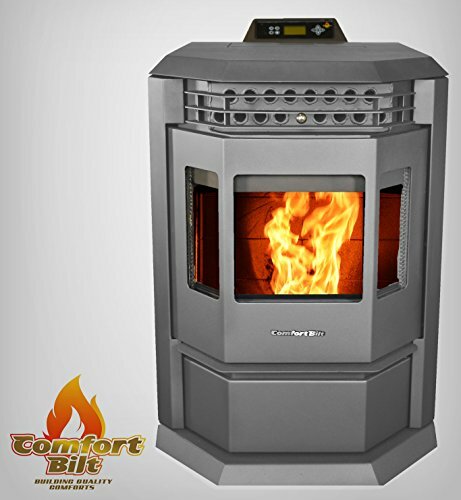 Hassle-free installation and worldwide voltage support make this a top pick among homeowners. The Ring Video Doorbell Pro is an excellent choice for those looking for all the functionality of a traditional doorbell system, with the added features that come with a video doorbell. Being able to not only know who is at the door but to be able to see them provides added peace of mind to homeowners. Video doorbells are a quickly growing segment of the doorbell market, and allow homeowners the ability to remotely view who is at the door with just a touch of a button. A decent range, two-way audio, night vision, and excellent companion app are all must-have features for the best video doorbells. 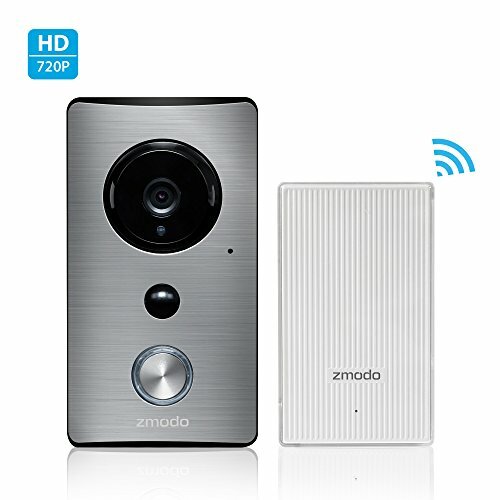 The Zmodo Greet Video Doorbell is an excellent budget-friendly choice, especially considering it comes with a WiFi extender, so that you can always access your videos from wherever you are. There aren’t many other video doorbells available that boast as many features at this price point. While wireless doorbells offer near plug-and-play installation, they still require mounting of the external push button. If the indoor chime requires an outlet for power, it helps if it does not cover the second outlet. Some doorbells have the option of being hardwired or wirelessly installed, if battery consumption is a concern. Users will want to be very clear on installation requirements for wired doorbells, as wiring will vary greatly depending on when a home was built and may affect compatibility. Depending on where the chime will be located in your home and how large a home you have, you’ll appreciate the option of being able to turn the volume up on the indoor chime. Likewise, being able to turn the unit down in home’s with new babies is another bonus. 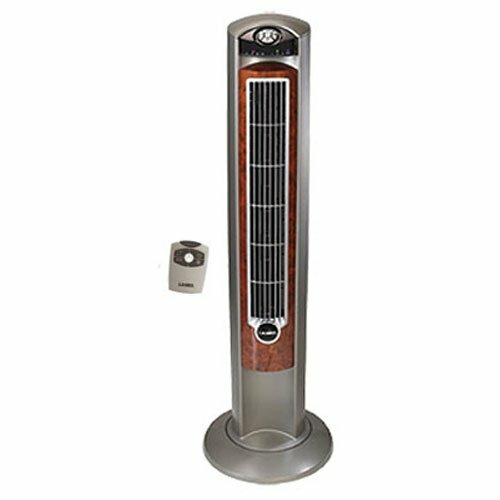 If chime quality is important, look for units with adjustable chimes for added interest. When it comes to video or smart doorbells, being notified when there is movement at your door can be incredibly helpful for preventing thefts or acts of vandalism. 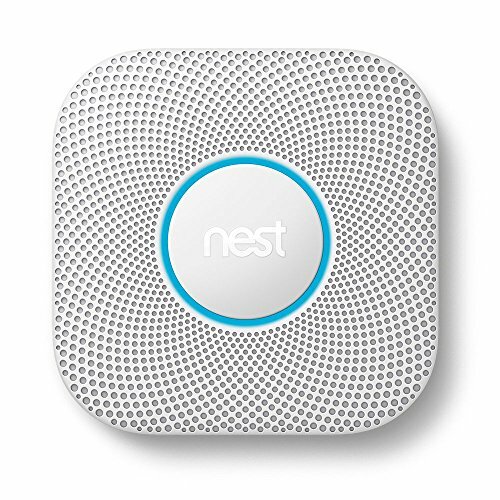 It can also alert parents to when children arrive home after school, or if the family pet accidentally escapes. Higher end video doorbells often come with adjustable fields so you’re not getting too many false alarms. Video doorbells are an excellent tool for viewing who is at your door, as well as any suspicious activity, but they frequently come with additional ongoing monitoring costs. Some providers charge a monthly fee, while others offer annual subscriptions at a discounted rate. Most offer some sort of free initial trial in order to let users test the service out before committing to a plan. Especially in the case of video doorbells, having quality customer support is essential in case you encounter any issues with installation or use. For less than $20 you can get a basic wireless doorbell that will come with a variety of chime and volume options reminiscent of traditional doorbells. 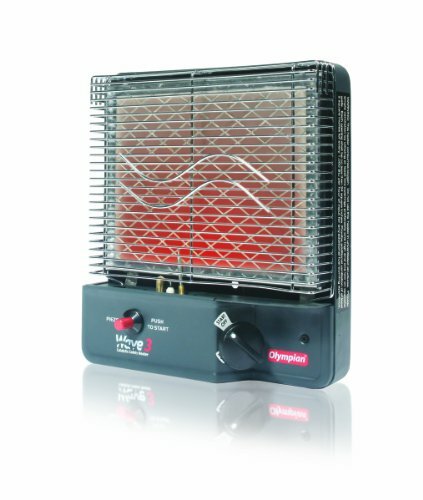 Units with multiple chimes and push buttons will cost slightly more, as will models that are rated weatherproof. For $100 you can find a basic video doorbell, but units with higher video quality, adjustable motion alerts, and customized push notifications can easily run in the $200+ range. 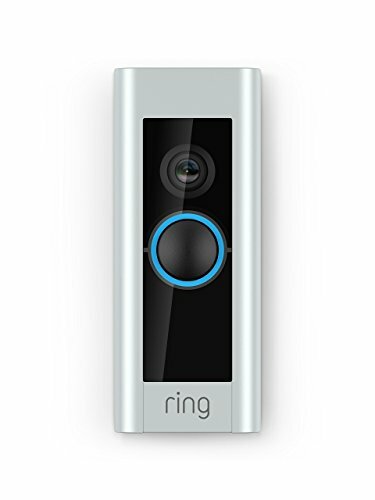 The Ring Video Doorbell provides an excellent means to let homeowners see who is arriving and departing from their home, and is also useful for communicating with cleaning people or delivery people. Customers have mentioned that live view and motion-based recordings sometimes lag, but the doorbell camera’s picture quality is clean and crisp. Ring’s continues to provide outstanding customer service, and the installation guide is easy to follow along. Overall, this is one of the best smart doorbells on the market, and makes an excellent choice for those wanting a doorbell with a little extra monitoring. High definition 720p video quality. This version of the Ring doorbell system offers 720p HD images to provide a detailed look at who’s coming and going around the home. It features a wide, 180-degree field of view to cover the entire entryway, and offer two-way audio. The free Ring app allows users to view footage on iOS, Android, MAC, and Windows 10 devices. Ease of installation. The Ring Video Doorbell is so easy to install that even the most technologically-challenged can handle it on their own. Users like the convenience of being able to install it to existing doorbell wiring, or wirelessly thanks to the lithium ion battery. It comes with several faceplate color options to suit most home’s decor, and features a quick-release rechargeable battery pack provides up to 6-12 months of use per charge. Quality companion app. Users overwhelmingly love the free Ring app and being able to check their alerts remotely. Not only can you view past events, but you can choose the live feed option to see what is happening at that moment. Connection issues. Many users report the Ring Wi-Fi Enabled Video Doorbell has issues connecting to their WiFi, and as such is not always reliable for wireless use. It appears that the installation of a Ring Chime Pro solves this issue, but comes at an additional cost to the consumer. Subscription-based video storage. There are two levels of video storage available from Ring on a paid monthly subscription. The Basic package is $30 USD per year or $3 USD per month per camera, and the Protect package is priced at $100 USD per year or $10 USD per month for unlimited cameras. 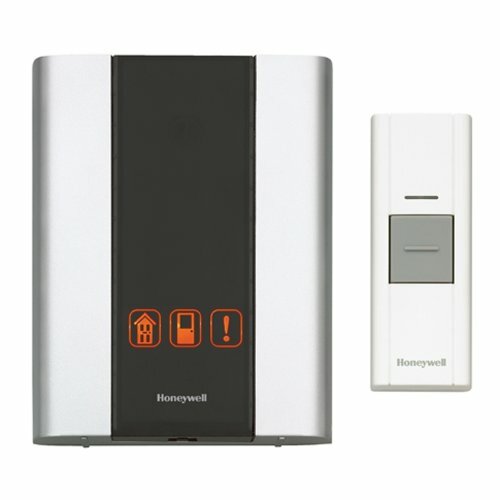 The Honeywell Premium Portable Wireless Doorbell offers an stylish design in an afforadble an easy-to-install package. The company has been in business for over 120 years, which means there’s a level of quality and customer service to back the product up, and it includes a 1-year warranty. While it offers a number of chime tunes to choose from as well as a visual alert indicator, it was our runner up only for its lack of video capabilities. Elegant appearance. Users love the look of the Honeywell Premium Portable Wireless Doorbell chime and how it seamlessly integrates with their home’s aesthetic. 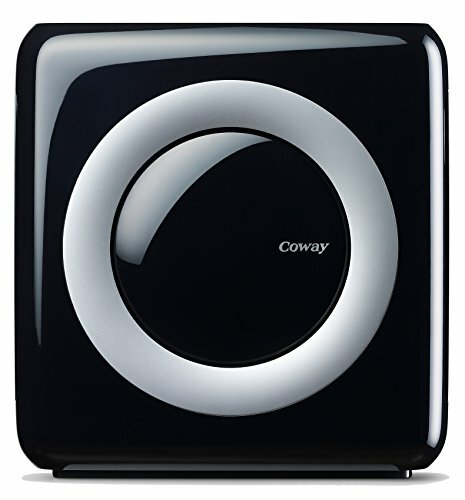 The wireless design makes it ideal for installing in any room of the home. Easy to set up. Multiple users report that the Honeywell Premium Portable Wireless Doorbell is incredibly easy to install and set up — even for seniors with little to know technical knowledge. Chime volume level. While some users claim that the chimes are not loud enough on this doorbell, the majority found that factory setting was perfectly fine for being able to hear throughout a two-story home. The volume is adjustable to specific users needs via a side access control. No screw holes on the push button. While the push button mount does come with all required mounting hardware, users were frequently put off by the fact that they needed to drill the holes themselves. Honeywell has clearly defined where the holes should go, but the added installation step is a bit of a hassle. Changing batteries is a hassle. 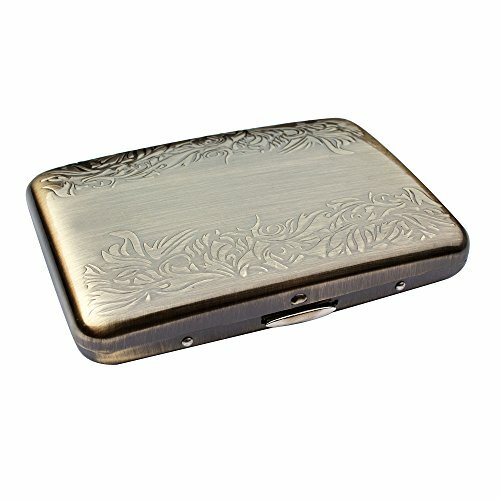 Several reviewers noted that changing the batteries on the chime and push button unit can be quite difficult. Removing the plastic backing and popping the batteries out seems to be an issue. This might be easy to overlook though, given how the same reviewers mention that the batteries last a very long time. The SadoTech Model C Wireless Doorbell is an excellent choice for homeowners looking for a budget-friendly doorbell solution. 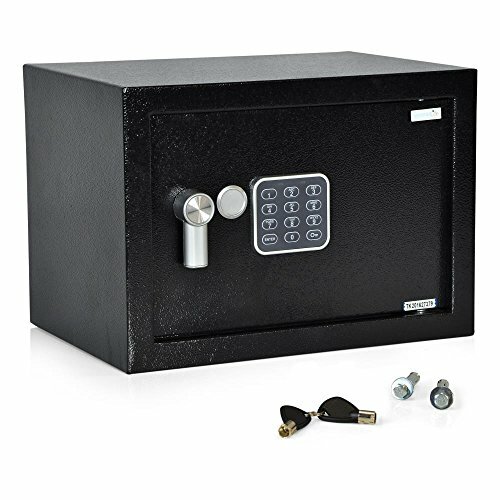 It comes complete with a single push button and chime unit, and is easy to install, coming with all required mounting hardware. It is easily expandable, comes in a choice of colors to suit most home’s decor, and installs in just minutes. Waterproof design. The push button on the SadoTech Model C Wireless Doorbell is completely waterproof, which makes it ideal for installing in areas where harsh weather is a concern, or there is no awning at the door. Users report that the unit has been drenched in water and still worked as expected. Choice of ring tones. Users can choose from a selection of 52 different ring tones to suit their own personal style. Not only is there an audible chime when someone presses the button, but the chips unit offers a visual indicator that someone is at the door. Users with hearing impairment found this feature especially useful. Adjustable volume levels. You’ll be able to hear when someone’s at the door no matter where you are in the home thanks to the SadoTech Model C’s four adjustable volume levels that range from 25db to 110db. Not only can it be used as a quality doorbell solution, but many users report it makes a decent personal alarm system for loved ones who require extra care and attention. Sporadic reliability. Several users report that their SadoTech Model C Wireless Doorbell either didn’t work out of the package, or stopped working within a few months. Swapping out batteries did not seem to fix the problem, and most returned the unit without hassle. The Liztek Portable Wireless Doorbell provides a dependable, easy-to-install solution for those looking for a new doorbell. It features a large range, wide variety of chimes, and is easy to install. 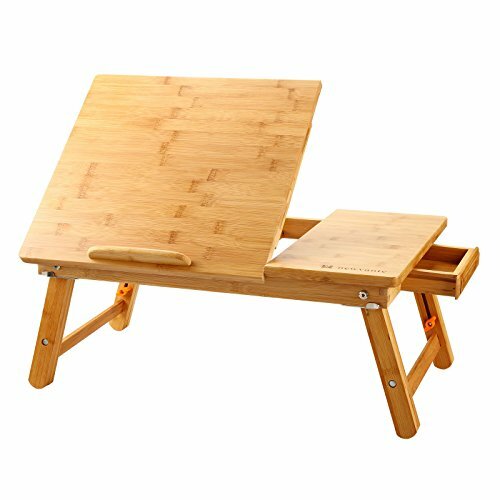 The fact that it is only weatherproof and not completely waterproof is what made it narrowly miss out on winning the top budget-friendly spot on our list, but it is still an excellent choice. Won’t cause interference. Each Liztek Portable Wireless Doorbell comes with its own unique radio frequency, which means that it won’t cause interference with other devices in the home. Even transmitting through thick steel doors does not seem to be a problem, according to reviewers. Weatherproof design. The Liztek Portable Wireless Doorbell’s push button boasts a weatherproof design that is suitable for use in harsh weather conditions, with temperatures ranging from -4 °F-140 °F. Users report that regular heat, humidity, and rain have not been a problem for this doorbell. Loud chimes. Several users report that they love how loud the chime is on this doorbell, with hearing it from different rooms in large homes not a problem. They report good sound quality and volume control options. Mounting hardware quality is lacking. Some users report that the double-sided tape and mounting screws that are included with the unit do not last very long, or are not able to be installed correctly. One of the primary reasons a person would choose a wired doorbell is that they are replacing an existing wired doorbell. Also, wired doorbells draw their power directly from the home's wiring, removing the hassle of battery changes that come with wireless doorbells. Because these doorbells are wired directly to the home, they also tend to be theft-proof. The Ring Video Doorbell Pro easily installs into your existing doorbell wiring, and boasts infrared night vision so that you can see who’s at the door day or night. It features a weather-resistant design and comes with a choice of four different colored faceplates for additional options. Users really like the customizable alert zones and motion-detected push alerts. Smart home compatibility. Users report that the free Ring app is easy to use, and the customizable push notifications are a welcome feature. It is compatible with Wink, SmartThings, and Amazon Alexa smart home systems, providing an additional level of hands-free alert. Full 1080p HD video. While other versions of the Ring video doorbell feature 720p video quality, the Ring Video Doorbell Pro boasts crisp, clear 1080p HD video. Users like the added quality for being able to make out details such as faces and licence plates when someone is at the door. Several users report having been able to capture thefts thanks to the clear images. Lifetime protection. For those looking for a little added security around their home, the Ring Video Doorbell Pro delivered. Having no-cost lifetime replacement protection in case of theft or vandalism gives homeowners added peace of mind. Poor WiFi signal. 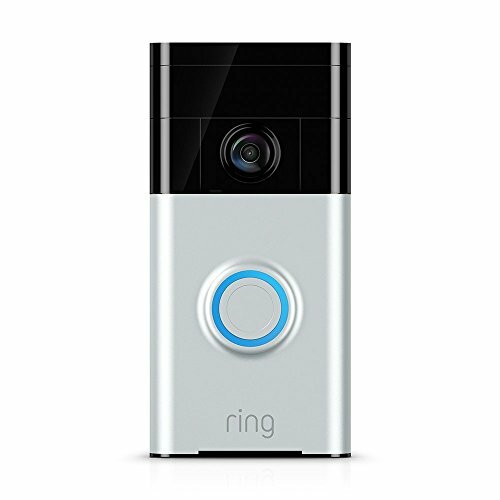 Some users report that the Ring Video Doorbell Pro has difficulty connecting to their home’s WiFi, or that there is a lag in the video response time. While smart doorbell technology is still in the early days, users should expect some growing pains. Video storage costs. There are two levels of video storage available from Ring on a paid monthly subscription. The Basic package is $30 USD per year or $3 USD per month per camera, and the Protect package is priced at $100 USD per year or $10 USD per month for unlimited cameras. Wireless video doorbells have been gaining in popularity for the last couple of years, which means there’s no shortage of quality choices available on the market. One of the primary reasons someone would want to install a video doorbell is to be able to remotely see who is at their door. They can provide added peace of mind when homeowners are away, and are ideal for checking on the comings and goings of cleaners, babysitters, or other service providers. Most video doorbells boast a wireless design, which makes them ideal for DIY installation, and provides unlimited placement options. 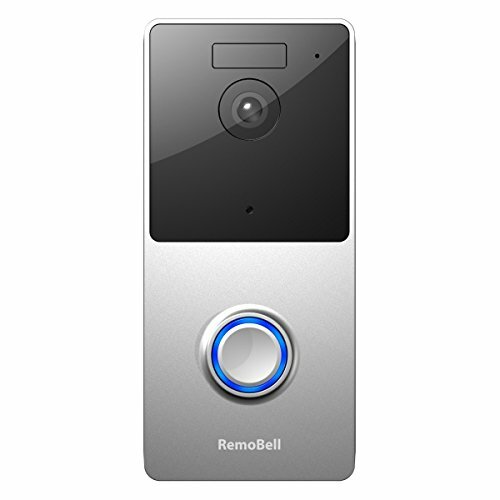 The RemoBell Video Doorbell offers an affordable solution for those looking to invest in video doorbell technology. It is battery-operated for convenient placement outside the home, and includes a free companion app that lets users remotely view live feed and recorded events directly from their smart phone. Advanced motion sensors. A handful of users found a slight delay with the RemoBell Video Doorbell’s advanced motion sensors, but most found it to be more than adequate and highly sensitive. It uses passive infrared (PIR) sensors to detect heat — thus reducing the amount of false motion alerts. Multiple viewer access. The RemoBell Video Doorbell companion app allows up to five devices to remotely view activity. Reviewers really liked this feature for the ability to share access between family members, as well as viewing events from their smart phone or tablet device. Rechargeable batteries. 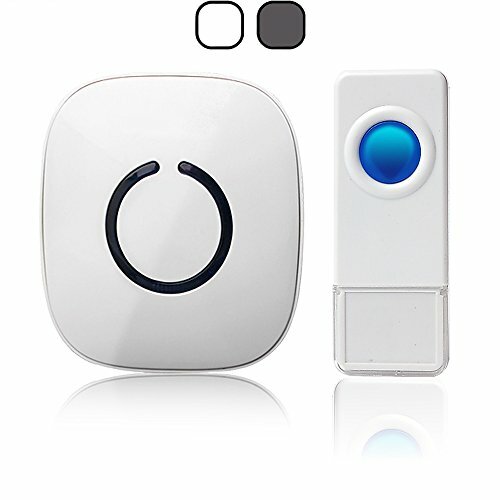 The RemoBell Video Doorbell comes complete with rechargeable batteries, which reviewers found cost-effective. And, thanks to integrated low-battery reminders, you’ll always be alerted when it’s time to recharge. While the manufacturer claims each charge should last approximately four months, most reviewers noted they needed to juice up on a monthly basis. Subscription-based cloud storage. Like many other video doorbells on the market, the RemoBell Video Doorbell features a subscription-based cloud storage plan that comes at an additional cost of $3/month. It does come with a free 30-day trial so you can test it out before you commit. The Zmodo Greet Video Doorbell package comes complete with a video doorbell, WiFi extender and smart hub, noise corrector, and quick installation guide. The Greet can be a bit trickier to set up than other smart doorbells, but with a bit of patience and by following the instructions, most reviewers got on without any problems. It includes all the standard features such as infrared night vision, 720p video, two-way audio, and weatherproof housing. Free cloud storage offers. The Zmodo Greet includes a 30-day free trial of cloud-based recording, which is good 24/7. It also includes 36 hours of free alert clip history for as long as you own the doorbell. So, while it might not be without additional ongoing costs for clip storage, it is a bit more generous than competitors. Personalized voice message. If you can’t make it to the door, the Zmodo Greet lets you play a recorded audio message for your guests. Reviewers really liked this feature, although it is limited to a maximum of 1-minute recording time. Zmodo Beam WiFi extender. The Zmodo Greet comes in at under $100, and includes a Beam WiFi extender as an added value. This helps to extend your home’s WiFi range up to 656ft for more thorough coverage. The Beam can also work as a smart home hub for connecting Zmodo accessories, and sending mobile notifications in case of a trigger. Lack of motion sensor control. While reviewers liked the 720p HD quality video, they found that the motion sensor feature was a little too sensitive. On busy streets, this could mean the camera alerts every time a car drives by, depleting the battery and clogging up the events feed.